Discussion in 'Criminal Charges' started by Michael Moore, Aug 9, 2018. I am still serving in the military as an officer, been in for 13 years with no negative records. I got caught shoplifting from the PX in the amount of $250 for multiple items. I was arrested and brought to the MP station for fingerprint and DNA. I admitted that I took the stuffs from the PX in the sworn statement. Will it go to my background check? What will happen to me? I do not want to get kicked out of the Army. Will it effect me from getting a government job or state job, should I get kicked out? Thanks for listening and your suggestions. You should visit JAG and discuss your options along with the potential outcomes. Back in the day if an officer got pinched for stealing, bad checks, DUI, domestic violence, even adultery; he/she was likely to have faced a courts martial. The security clearance was pulled, which meant she/he couldn't do their job. Some were allowed to resign conditioned on foregoing any retirement and a general discharge. A few received bad conduct discharges. These days you might get a verbal reprimand, most likely a written reprimand is the usual non-judicial punishment, along with an Article 15. Either way, you should immediately invoke, stop discussing the matter, keep your head down, your mouth shut. You should prepare for the worst, but pray for a miracle. If you get out of this unscathed, don't violate your oath ever again. I don't know you, but as a retired O7, I'm disappointed in you. Roger, sir. I am so ashamed and really disappointed myself. I volunteered to work at BN S1 cleaning up their office, sign up for volunteer works through the unit or the nearby church. I would like to do everything to stay in the military. Is there a way? Is that possible if I could resign with an honorable discharge, sir? I know that I think it is a long shot but I would do anything for it. Please advise. Thanks. AFEES might decide to NOT seek prosecution. If that happens you'll receive a letter requesting you send them $200 (or thereabouts) to settle the matter without going to court. The rest will be up to your CO or Convening Authority. Meet with JAG and ask to see a Defense Trial Counsel. Did you speak to the Provost Marshal or the Duty Officer when the MPs transported you? I'm thinking very little will happen to you, especially if you're Active Guard or Reserve, MEPS, or a Joint Command. Where did this alleged event occur, army camp, Marine Corps Base, Navy Base, Coast Guard Base, or an AFEES that is NOT on a military installation? I admitted in the sworn statement when MP asked me at their office after 3881. I admitted that what I did was wrong. What made it worse is that I am at the TRADOC environment where nobody can vouch me up. Now, I am requesting to be able to stay in the military. I volunteer cleaning the BN shop offices and sign up to volunteer at off base middle school and church. I admitted in the sworn statement when MP asked me at their office after 3881. I admitted that what I did was wrong. Have you met with JAG? If you haven't get over there tomorrow. You need to open a discussion with a JAG attorney ASAP. You also need to discuss this with your CO, see if you can learn if an Article 32 hearing will be convened, or is being discussed. If it is, you really need a lawyer. You can also talk to a civilian lawyer (many of them are retired JAGs) near your base or camp. Hi sir, i talked to TDS lawyer and he said that he did not know what was gonna happened to me regarding legal action that COC would take. He said that now is just playing "waiting" game. I think that it gotta do with the incident just happened last week so it would take them a while to decide what action they are going to make. The same applies also to my CO that he does not know what is going to happen with me. That is why I volunteer to do everything even sorting out stuff at the office closet. Also, I asked for volunteer activities outside work hours which I was going to volunteer at the nearby middle school. Can the COC do GOMOR first? If yes, can I made the speech or statement after the reading of my GOMOR? After GOMOR, what actions can the COC take on me? Are they going to be court martial, article 15, board inquiry? Does board inquiry have to be after either court martial or after article 15? Can the COC go straight to board inquiry after GOMOR? You've done the leg work, you have a handle on this, good for you. Volunteering can't hurt, and you could help change the lives of several kids. Volunteering to do extra duty or work at the unit level is another smart step, staying busy keeps you out if trouble and engaged. Busy hands, active mind, makes one too busy to go astray. The only other thing I can add is keep doing positive things. I can't predict in what order the convening authority will act, or even if the convening authority will act. The only other thing I can add is don't talk to CID or MPs without an attorney present. Name, rank, assignment, serial number, DOB are okay, as is small talk; just don't discuss any aspect of this potential case with anyone but your lawyer. Sir. It is really a hard time for me to keep my head high in the middle of this predicament. I feel so ashamed to bring discredit to the branch, the military service, and the country. From the incident until now, I could not sleep more than 2 hours every night. I woke up in the middle of the night and stood awake afraid of the uncertainty of the future and my family. Scared of finding a decent job without failing a background check. Can the board of inquiry recommend retention in the military? 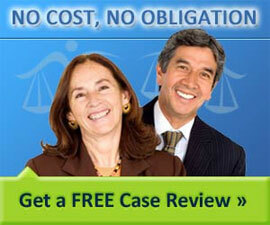 Yes, you could receive an oral reprimand with no record of the incident to your 201. You might want to talk to a chaplain (it'll be confidential) or a psychiatrist / psychologist which will also be confidential. Heck, when the powers that be decide, nothing might never come of the incident. That's why how you're handling now will be important to how it eventually ends. The more remorse and regret you exhibit, the more you can heal, eventually learning a valuable lesson so you'll never stray from the Army values we all hold dear long after our service has ended. I did talk to the chaplain and behavior health as well as off post priest asking for absolution as I am Catholic. From your experience, what is the chance of the board recommeding retention, sir? First offense, no deragotary remarks on my record except this incident, and show remorse by admitting guilt when questioned instead of offering excuses. My career in the Army has been okay, average mediocre performance though. Officers are held to a higher standard. You have broken the trust of your rank. You honestly should be removed from the service for this issue. How can you at this point in your life go about leading those under you? How can you discipline those under you knowing you are a criminal yourself? It all depends, assuming its boarded. These days the army has been tasked by congress and the president to grow its strength, and funding is coming on 01 October to begin the process. Based on that alone, plus a good record, you have an above average chance of not being boarded. However, it all depends on what CoC and convening authority decide. A CO can influence the CG not to prefer charges and allow the incident to be addressed at the unit level. I'e done that few times in my career for enlisted soldiers. Usually they'd be orally reprimanded and assigned extra duty for 30 days. With officers extra duty is almost impossible, but has been done. My guess is you won't be boarded and the unit, meaning your CO, will address it with a written reprimand, or a verbal one with nothing added to your package. How much time in grade? Are you promotable, as in 1LT(P), etc? Are you commissioned or warrant? Are you reserve or RA? Do you draw "propay", or are you in a high demand MOS? I cannot blame you "disabled vet" yes I am as an Officer is held higher standard. I admitted that I made a lapse of judgment. I deserve to be punished but please not my family. I am in the unique position where I am appointed as a Law Enforcement Officer as well. That being said, I really made a big blue eyes on the MP Corps, the school house, and its instructors. But I am willing to take whatever it takes to stay in. The problem is though that in what capacity I will be serving as because it was since 2009 I was enlisted. Now, I am in my 13 years mark. What possible position can I still serve as a Warrant? A warrant is a bit different than a commissioned officer. I don't see you being demoted to enlisted. You might be allowed to "resign for the good of the service", given a general discharge under honorable conditions, and released from the military in your current rank. However, its doubtful you'll be allowed to be a civilian law enforcement officer because of the "incident". Now, I'm guessing so let's just leave it be, you keep your nose clean, and wait patiently for the army to decide. I'm going to guess, you won't be booted, you'll be formally reprimanded, a letter placed in your file, and your pay will be reduced by 20% for six months; but you'll get to serve maybe not in your current unit. Sir, what if they are going to do board of inquiry, do you think that I can still be retained despite of the facts and circumstances where I got caught at the PX loss prevention office and by admitting my mistakes in the sworn statement. I tried to take responsibility and showed remorse. I want to Soldier on. Is that a possibility of an honorable discharge? In the class that I took recently for Law Enforcement, they said that you have to own up your mistake, do not try to hide it. I know that I made a grave mistake but I did not try to hide it, I admitted to it. So, I am humbly ask for forgiveness and a chance to reedem myself. Seriously you're an officer and you stole from the PX?????? What is wrong with you? You make more than enough money after 13 years and an officer that you can afford to buy things. Even as a warrant officer. Especially for a warrant officer you know better you were a NCO right? Good grief. Yes, I deserve your harsh comments. I made a grieve mistake that cost my career and my family. I am sorry.